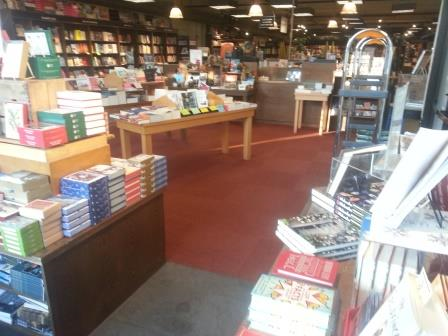 Boswell Annotated Bestsellers, Week Ending November 29, 2014. You can see that my go-to picks for hand-selling are Station Eleven and All My Puny Sorrows. I kind of start out saying they are not for everyone, although one the tricks of Station Eleven is that it is for more people than you'd suspect. My favorite books end to have very intricate, interconnecting plots, like Station Eleven and last year's The Illusion of Separateness, for example, or pretty much no plot at all, like All My Puny Sorrows and spring's To Rise Again at a Decent Hour. Curtis Sittenfeld touched on this in last week's New York Times Book Review, but she also noted: "All My Puny Sorrows is unsettling, because how can a novel about suicide not be? But its intelligence, its honesty and, above all, its compassion provide a kind of existential balm — a comfort not unlike the sort you might find by opening a bottle of wine and having a long conversation with (yes, really) a true friend." Several prior events have pops from their autographed copies this week, including Chris Hadfield's You Are Here, and The Keillor Reader, which we were squirrel-ish enough to hold onto since last spring. As to what books people are buying in quantity, there is Tony Robbin's Money: Master the Game: Seven Simple Steps to Financial Freedom and also Atul Gawande's Being Mortal. Gawande's book is touching a lot of our older customers. Here's Sheri Fink's review in The New York Times Book Review. The new Penelope Fitzgerald: A Life, from Hermione Lee has Jane Glaser not just pushing that opus on fans of great literature but it's revived her spirit for recommending several of her novels, most notably Offshore, a Booker prize winner, about a group of people who live on a houseboat in the Thames. Here is an extract of Alan Hollinghurst's new introduction to the novel, reprinted in The Telegraph. Here's a teaser about Offshore: "At its centre is a young Canadian woman, Nenna James, forced at last to accept that the English husband who has abandoned her and their two children will never come back to her. Nenna, who has unfulfilled artistic interests (she trained as a violinist), lives on a houseboat called Grace, just as Fitzgerald had done; but she has married much younger: she is 32 and her elder daughter 11 – a reminder and a warning that Fitzgerald, who was married at 25, had three children, and lived on the Thames for two years in her mid-forties, reused her own life as freely and selectively as she liked." Alas Richard Davidson's event has filled up to capacity at Temple Sinai for The Emotional Life of Your Brain. The waitlist is also filled. The author lives in Madison, so I suspect your organization can also have him speak at a future event. Here's more information on his website. You can also see him at the Thrive luncheon in Madison on January 29. In this latest installment of Little Blue Truck's adventures, the truck delivers trees to holiday friends and you get to count along. I was mentioning that there is an awful lot of counting in this year's holiday offerings for kids. It must be that new math focus in schools. Jane would want you to know that that last tree lights up in Little Blue Truck's Christmas, but please don't remove the battery protector until you get the book home. When I have time, I like to include the illustrator to kids' books, at least when the artwork is throughout. One particularly difficult person to give credit to is Pippa Curnick, who did the illustrations for the new pop-up of The Mitten. While she is credited on the book itself, she has no listing on the ABA website, which is what we use for orders, and I do not understand why, as the paper engineer (who also did a great job) did get a link. I love Curnick's work and would probably work to find it if she were doing loose or boxed cards or kids' diaries, or whatever else I can find. Check out her adorable penguins of the world print here. Over at the Journal Sentinel, the big book story is their "100 Books for Holiday Giving." I don't have the time or energy to list out all the books today, but here's a link to all their picks. In addition, Jim Higgins reviews Literchoor is My Beat, a new biography by New Directions publisher James Laughlin from Ian S. MacNiven. Higgins notes: "Literchoor Is My Beat is something of an authorized biography — Laughlin's literary executors selected Ian S. MacNiven, author of a Lawrence Durrell biography, to write it. Nonetheless, MacNiven delivers a smart, fair-minded, thoughtful and entertaining book about this striking man of letters." which version she has without looking inside. In the press information that accompanied the books, Ali Smith is quoted: 'Who says stories reach everybody in the same order? This novel can be read in two ways and the choice is yours.'" Here is Mary Louise Schumacher's list of picks on art, architecture, and design. And here is an interview with Ann M. Martin, which appeared in the print version of the Journal Sentinel, originally from the Miami Herald. *The classic white jacket with plain typeface and a little icon, that the Knopf/Doubleday group loves so much. They definitely have a Calvin Klein-ish thing going on, don't they? The Best American (and Non-American) Anthology Case is Packed Full of New Editions. Over the years, the folks at Houghton Mifflin (now Houghton Mifflin Harcourt) have provided us with some nice displays for Best American Short Stories. But we always wanted to sneak in books from other publishers in the assortment, so we got to the point where it made sense to create our own. I may have already mentioned here that we had re-purposed a display to this effect, but that last year, when we had a big author event, it broke in the moving. I bought a replacement from Clear Solutions, customized it by only having plastic racks on one side, and it seems to be just right. I do wish each shelf was a little bigger, such that it could hold three copies of a book instead of two, but I guess that's what overstock is for. The new edition of Best American Short Stories 2014 is edited by Jennifer Egan, but folks who know how this works understand that she does the final pick, but the stories are first culled by series editor Heidi Pitlor. This still gives the guest editor a lot of leeway, so for example, the Stephen King volume definitely played more with genre mash-up. This edition includes selections from some usual suspects (Ann Beattie, T.C. Boyle), a few personal heroes (Peter Cameron, Charles Baxter) and many folks you probably haven't heard of before (Nicole Mackin, Molly McNett). Here's a thumbs-up review from Arielle Landau in the New York Daily News. The HMH lineup covers Essays, Mystery, Sports, Comics, Science and Nature, the Dave-Eggers-driven Nonrequired Reading (which this year is guest-edited by Lemony Snicket), and the relatively recent Infographics. Best American Travel Writing 2014 this year is guest-edited by Paul Theroux and features work from Sean Wilsey, Michael Paterniti, and Gary Shteyngart. Among the titles published by other sources are Food Writing (not American), Magazine Writing, Business Writing, Poetry, European Fiction, Mathematics (really?) and Short Plays, though this one is usually several years behind. I really don't quite understand the magazine writing one, since isn't all of the nonfiction collections predominantly from either print or online magazines or journals? But this display sure does the job--our location went from consistently selling 2 copies of Magazine Writing (looking at years 2006, 2007, 2008) to 8-10 copies (looking at 2011 to 2013). The European Fiction from Dalkey Archive for some reason dates the volume as 2015. While we're well aware that most of this writing is actually from 2013, 2014 seems appropriate while 2015 seems to be pushing it. The O. Henry Prize collection, as well as the Pushcart Prize anthology (also labeled 2015), imply the "best" from their prize status. We put them on the display as well. And then there are several science fiction, fantasy, and horror collections battling it out for supremacy. I will list Gardner Dozois's Years Best Science Fiction just to have something in the genre. May I note to both Dozois and Pushcart that more is not always better. I think 650-700 page collections are intimidating and might dilute the idea of "best." I'm thinking something in the range of 300-400 pages might not just be cheaper and easier to produce, but might sell better as well. Sharon, what's going on this Saturday at Boswell? 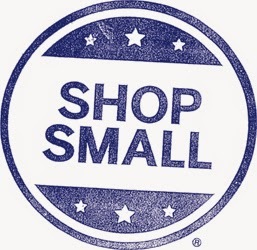 "For the second year in a row, Boswell is happy to participate in Indies First/Small Business Saturday. This is an opportunity for small locally-owned businesses to provide a shopping alternative to Black Friday. Last year, author Sherman Alexie challenged his fellow authors to volunteer as guest booksellers at their favorite local independent bookstores. Thus, a tradition was born. "Last year, we were lucky enough to host eleven local authors as guest booksellers, including Jessie Garcia and Lois Ehlert. This year, we have seven home-town authors who are volunteering their time - Bobby Tanzilo, Daniel Maguire, Joseph Ellwanger, Paul Geenen, Liam Callanan, Barbara Manger, and Amy Zhang. Please join us on Saturday, November 29 to shop local." While we're on the subject, have you registered your American Express card yet? Qualified cardholders can shop at up to three qualifying stores on Small Business Saturday and earn a $10 statement credit if they spend $10 or more at the shop. It must be, by the way, on one transaction. But you have to register. Just One Traditional Author Event This Week (Not Including Indies First/Small Business Saturday): A Mystery Tea with Tasha Alexander and Charles Finch on Tuesday, November 25, 7 pm. Who doesn't love a British mystery? Well this Tuesday (that's tomorrow), November 25, 7 pm, we have two. First up is Charles Finch, author of the Charles Lenox myseries, including The Fleet Street Murders, The September Society, A Stranger in Mayfair, A Burial at Sea, A Death in the Small Hours, and An Old Betrayal. His first novel, A Beautiful Blue Death, was nominated for an Agatha Award and was named one of Library Journal’s Best Books of 2007, one of only five mystery novels on the list. He lives in New York City. It’s 1876 in Charles Finch’s latest novel, The Laws of Murder, and Charles Lenox, once London’s leading private investigator, has just given up his seat in Parliament after six years, primed to return to his first love: detection. With high hopes he and three colleagues start a new detective agency, the first of its kind. But as the months pass, and he is the only detective who cannot find work, Lenox begins to question whether he can still play the game as he once did. Then comes a chance to redeem himself, though at a terrible price: a friend, a member of Scotland Yard, is shot near Regent’s Park. As Lenox begins to parse the peculiar details of the death—an unlaced boot, a days-old wound, an untraceable luggage ticket—he realizes that the incident may lead him into grave personal danger, beyond which lies a terrible truth. With all the humanity, glamour, and mystery that readers have come to love, the latest Lenox novel is a shining new confirmation of the enduring popularity of Charles Finch’s Victorian series. Also joining us is Chicago's Tasha Alexander, who while not British herself, is married to thriller writer Andrew Grant, and they divide their time between Chicago and the UK. Yes, Charles Finch and Tash Alexander live in the Wee Britain district of Chicago. She is the author of a number of Lady Emily books, starting with And Only to Deceive, and continuing with A Poisoned Season, A Fatal Waltz, Tears of Pearl, Dangerous to Know, A Crimson Warning, Death in the Floating City, and Behind the Shattered Glass. In her newest adventure, The Counterfeit Heiress, Lady Emily becomes embroiled in the murder investigation of one of the guests at a masquerade ball, a sometime actress trying to pass herself off as the mysterious heiress and world traveler Estella Lamar. Each small discovery, however, leads to more questions. Was the intended victim Miss Lamar or the imposter? And who would want either of them dead? As Emily and Colin try to make sense of all this, a larger puzzle begins to emerge: no one has actually seen Estella Lamar in years, since her only contact has been through letters and the occasional blurry news photograph. Is she even alive? Emily and Colin’s investigation of this double mystery takes them from London to Paris, where, along with their friend Cécile, they must scour the darkest corners of the city in search of the truth. I wrote about reading Tasha Alexander's Behind the Shattered Glass last year in the Boswell and Books blog. Here's hoping some of you like Alexander and Finch enough to write about them in your blog too. 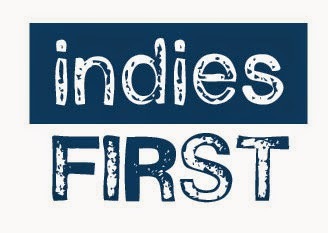 Don't forget, Small Business Saturday and Indies First is this Saturday but that warrants its own post. Conjugated? Promulgated? Celebrated? Annotated! : The Boswell Bestseller Lists for the Week Ending November 22, 2014. While Anthony Doerr did not take the National Book Award (it feels more like a Pulitzer kind of book, but we're really completely dependent on a small judging panel here), congrats to Phil Klay whose Redeployment collection took the honor. Let Me Be Frank with You, Richard's Ford's connected stories about Frank Bascombe, seems to be touching a nerve with reviewers. Hey, we're all getting older! Newsweek's Dan Cryer rates the Charlotte Pines story the best, and asks folks to see past the wink-wink title to the substantial collection that it is. On comparing Bascombe to John Updike's Rabbit: "Frank is far more discerning and sophisticated. He analyzes the landscape, while Rabbit melts into it. He comprehends what only mystifies Rabbit." So with two people telling me in the last couple of weeks (our own Boswellian Sharon and bookseller Ann Patchett) that I needed to sell Deep Down Dark to folks who liked Unbroken and The Boys in the Boat, and that was after much enthuusiasm from our rep Anne, how could I not climb on board? From Mac McClelland in The New York Times Book Review: "Whether the story is completely new to you, or if you were one of the millions glued to the news reports and wondering, will they make it — physically, emotionally, spiritually — you’ll be greatly rewarded to learn how they did." My only quibble: I think the title gets lost in the book jacket graphic. So I was looking at Once We were Brothers, the Ronald Balson novel, and noticed we'd have several special orders for it as a print-on-demand title from the previous publication. In its Griffin edition, it started slow, but in the last two months, we started selling it regularly. Written by Chicago attorney, it's about a philanthropist who is accused of being a Nazi collaborator. From Jackie Cooper in The Huffington Post: "There are many, many legal thrillers on the book market today, and there are always novels concerning the holocaust coming forth one after the other. Still this book is different in its passion and its presentation. It is worth your time and you won't be disappointed." There are a lot of Thich Nhat Hanh books out there, many of which are folks simply writing down what he says at speeches, but not all of them take off the way How to Eat and How to Sit do. The packaging is great, the titles conform more to an impulse table's demands, garnering better placement, and while the author has certainly touched on mindful eating previously (here's an interview with Oprah), the counterpoint of the two titles makes the concept seem fresh. A lot of books on this week's list popped on from a talk that Jane and I did at the Woman's Club of Wisconsin on Tuesday. This is great practice for what I'll be handselling this holiday season, not just from what I've liked and found interesting, but also from Jane's list. She paired up a new pop-up version of The Mitten with the new Jan Brett, The Animal's Santa, a story about the animals wondering exactly who the fella is who is handing out the presents. The new version of The Mitten is written by Jessica Southwick, illustrated by Pippa Curnick (who is not getting credited on either Ipage or the ABA website we use--somebody should fix that) and with paper engineering by Yevgeniya Yeretskaya. Over at the Journal Sentinel, Jim Higgins reviews The Three-Body Problem, a Chinese sci-fi thriller that mixes physics with gaming. His intriguing set-up: It combines fascinating extrapolations from astronomy and physics with a compelling first-contact story and a remarkable gaming/virtual reality tale — and sets the whole thing in contemporary China, among characters profoundly shaped by the notorious Cultural Revolution." From Mike Fischer, a revisit of the best stories from Alice Munro's six collections published over the past twenty years in Family Furnishings. Just to let you know where Fischer stands on this collection, these entries are not stories but "miracles." His take: "'We say of some things that they can't be forgiven, or that we will never forgive ourselves,' Munro says near the close of 'Dear Life,' fittingly the last story in this collection. 'But we do — we do it all the time.' Munro has been teaching us how for half a century, one story at a time." Reprinted from Newsday, Melissa Anderson reviews Jill Lepore's The Secret History of Wonder Woman. The thesis? : "Lepore, a professor of American history at Harvard, a staff writer at the New Yorker and the author of several books on U.S. political life past and present, seamlessly shifts from the micro to the macro in arguing that Wonder Woman is 'the missing link in a chain of events that begins with the woman suffrage campaigns of the 1910s and ends with the troubled place of feminism fully a century later.'" Notice Anything Different When You Walk Into Boswell? Two Hints: It's Orange and Bouncy. Over the five and a half years we've been open, the changes to Boswell have been, shall we say, incremental. There were some big tasks at the beginning, like painting and switching out some of the interior bookcases, but since then, we've taken our time. We've added some display tables, and replaced a couch. One might say the biggest change was when Starbucks took some of our space for their expansion. So folks have been pretty surprised last week to see some new carpenting. 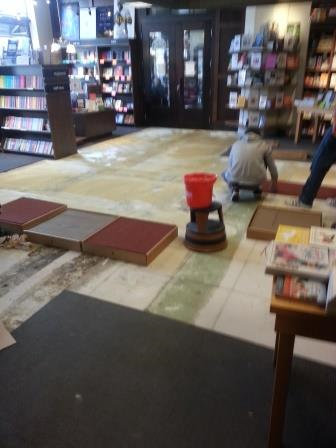 Not the whole store of course--that would have been crazy, plus we do still have some replacement carpet squares. But we didn't have any replacements for the max-usage squares at the front of the store and many of the squares were completely worn through. The foyer and area in front of the register were actually a different color, a reddish gray, the color was so muddy that it was hard to notice a difference. But last week customers walked in to see an orange entryway, with the high usage squares expanded all the way to both entrances and both registers. Amie and I bought the sample book back to the store, and the color choice was so unanimous that it was a bit shocking and there's really been nothing but love since it was installed. We forgot that carpet has padding--there's a bounce to our step when we walk across the newly lain floor. Oh, and the color is clay pot, if you are wondering. We wound up using nearby Kashou Carpets on Farwell Avenue. They are also in Local First Milwaukee and we got numerous recommendation from our customers. And they were great--fast and efficient, and Bob Kashou himself came out to inspect the work. It's time you knew about Kashou, as they say. They didn't pay me to say that. In fact, I paid them to say it. Atria launched María Dueñas in the United States with The Time In Between two years ago with a lot of enthusiasm and now here is the follow-up, The Heart Has Its Reason (Misión Olvido), which comes out today. I've learned that the first novel became a mini-series that was nicknamed the Spanish Downton Abbey . And for those who were intimidated by the first novel's size, this one comes in at just under 400 pages. It's about a college professor whose husband leaves her for a younger woman. Here is a nice profile in El Pais, the largest circulation newspaper in Madrid. It's in Spanish, but you're a reader with many talents, so I've linked to it anyway. Here is also the Kirkus review, which is in English. From Milkweed, Shawn Lawrence Otto's new novel is Sins of Our Fathers. You may not know him, but he wrote the screenplay for House of Sand and Fog and that is probably a good comparison. JW is a banker who teaches other bankers near small-town reservations how to profit from Indian casino deposits. But his life goes awry and he finds himself trying to right himself (addictions, his wife's depression, and so forth) by sabotaging a Native American competitor. Publisher's Weekly's starred review compares the work to the best of William Kent Krueger. Interestingly enough, the releases in November tend to skew nonfiction and the fiction that does come out tends to skew branded thrillers. For example, last week marked the release of Patricia Cornwell's Flesh and Blood, the newest Kay Scarpetta installment. It's also the first release from the William Morrow division of HarperCollins and finds KS investigating a series of sniper killings, perfect shots all but with the victims seemingly unrelated. Marilyn Stasio finds unexpected pleasures in her mystery column review in The New York Times. Out today is the newest from David Baldacci, who started off with mostly stand-alones, but is now a series guy, with The Escape (Grand Central) being the newest featuring John Puller, a special agent who has his toughtest foe yet, his own brother! Payback for being a brat or just another sociopath with a mission--you be the judge. And needless to say, the partner assigned to John, might not be as trustworthy as one would like in these situations. Publishers Weekly writes "Baldacci handles the complex plot with consummate ease as the Pullers navigate nearly endless surprises." A sleeper historical with a thriller angle is The Final Recollections of Charles Dickens (Counterpoint), by Thomas Hauser. The setup is that Dickens hasn't yet found acclaim as a writer and is still working as a London journalist. He's set up to profile a wealthy investor, only to discover that his profile isn't going to be a glowing as he hoped--this fellow might even be a murderer, and it doesn't help that most of the police force is thoroughly corrupted. The starred Publishers Weekly review is glowing: "Hauser delivers a crisp, colorful narrative with vivid pictures of London's rich and poor, as well as a suspenseful, perilous drama in the style of Dickens." The Kirkus reviewer (both are anonymous) has seemingly read a completely different book. That's the only explanation I can come up with. David Bezmozgis, author of The Betrayers. This event is co-sponsored by UWM Stahl Center for Jewish Studies and the Harry and Rose Samson Family Jewish Community Center. Yes, it's a Daniel pick. Here's my rec: "Baruch Kotler didn’t expect his affair with his young assistant to hit the front page of the papers, but that was only after her refused to back down from his stand on West Bank occupation. He took Leora and headed to Crimea, land of his childhood vacations, where he could leave his old family and his problems behind. And so what if his wife spent her life campaigning for his release back when he was a world-famous Russian dissident? But when their reservation is lost and they agree to take a room in someone’s house, the one person whom he most fears seeing turns up. The Betrayers is a darkly comic drawing room novel, a character study with a bit of the thriller, a historical what-if, and a philosophical puzzle too, all told with grace, insight and wit." Just don't take my word for it. This from Aleksandar Hemon: "The Betrayers is a moral thriller in the tradition of Bernard Malamud, but the generosity, grace, and wisdom of the writing belong entirely to David Bezmozgis. The magic of fiction is that it makes the reader care deeply about imaginary strangers, and Bezmozgis is a magician." From Canadian novelist Barbara Gowdy (you do remember we're finishing out Canada week, right? ): "An intensely penetrating, transcendent novel... with characters that are absolutely themselves, their flaws, strengths and desires so tenderly and truthfully imagined as they move through the startling turns of a story that rises out of the deep center of Bezmozgis's fine intelligence. Extraordinary." Francine Prose is a fan, which should not be a surprise, since she was one of the three judges for the Giller Prize, for which the book was shortlist: "Dazzling, hilarious, and hugely compassionate narratives [written with] freshness and precision ... Readers will find themselves laughing out loud, then gasping as Bezmozgis brings these fictions to the searing, startling, and perfectly pitched conclusions that remind us that, as Babel said, 'no iron can stab the heart so powerfully as a period put in exactly in the right place.'" If you've been paying attention, you'll note that I seem driven to these novels that are more character and theme than plot, at least of late. The Betrayers reminds me a lot of a stage play. I've been thinking a lot about its theatrical possibilities. Kim Wilson, author of At Home with Jane Austen. This event is co-sponsored by JASNA, Wisconsin chapter. From her youth in a country rectory in Steventon, a small village in Hampshire, England—where she wrote her first stories for her friends, Volume the First, Volume the Second, and Volume the Third—to the fashionable spa town of Bath, to the seaport of Southampton, to her final years in her last settled home at peaceful Chawton Cottage, where she penned her most famous novel, Pride and Prejudice, Jane Austen’s life was hardly that of a shut in. A regular visitor to London, to the seashore for holidays, and to the estates of friends and relatives, Jane carried her own notion of home with her wherever she went and drew inspiration for her brilliantly witty novels from every new experience. She wrote most everywhere she traveled, accompanied by her portable writing desk. With gorgeous photography and illustrations, At Home with Jane Austen explores Austen’s world, her physical surroundings, and the journeys the popular author took during her lifetime. Author Kim Wilson ties Austen’s novels to places where she lived, visited, and even attended school, ending with her final months in temporary lodgings in Winchester, England. Jane Austen’s enduring legacy is the final chapter of this beautiful and eye-opening book. JASNA member Wilson is also the author of Tea with Jane Austen and In the Garden with Jane Austen. And since you're wondering, here's how to get to Jane Austen's house, on Trip Advisor. Kathleen Ernst, author of Tradition of Deceit. Curator and occasional sleuth Chloe Ellefson is off to Minneapolis to help her friend Ariel with a monumental task. Ariel must write a proposal for a controversial and expensive restoration project: convert an abandoned flour mill, currently used as shelter by homeless people, into a museum. When a dead body is found stuffed into a grain chute, Chloe's attention turns from milling to murder. Back in Milwaukee, Chloe's love interest Roelke has been slammed with the news that a fellow police officer (his best friend) was shot and killed while on duty. Sifting through clues from both past and present, Chloe and Roelke discover dangerous secrets that put their lives—and their trust in each other—at risk. This is the fifth book in the Chloe Ellefson series, but that's not the only reason you know Kathleen Ernst. She's also the author of the Caroline Abbott books from American Girl. Who knew that many of the original characters have been archived?. You can hear Kathleen Ernst talk about her previous novel on Lake Effect here. The Amiably Annotated Boswell Bestsellers, Week Ending November 15, 2014, Plus Links to Journal Sentinel Book Reviews. Why knew that Alice Munro's Selected Stories only went through 1994? The new volume, Family Furnishings, is a companion, collecting stories from 1995 to 2014. Now I don't want you to think this is even remotely complete. We'll see how large that volume is someday. Unlike the first volume, where many of the early stories were overlooked by critics, by 1995 Munro was getting fairly comprehensive coverage, but David Ulin revisits them anyway in his Los Angeles Times review. He writes: "In many ways, this is the driver of Munro's writing — to portray people not at the crossroads exactly but for whom life is a series of crossroads or more accurately a narrowing." The Nobel sales really kick in as we now are stocked on four different titles for Patrick Modiano, and both Missing Persons and Suspended Sentence are among our bestsellers. Josephine Livingstone, culture gabfest intern in Slate magazine, puts Missing Persons among her three starter works, though admittedly Suspended Sentence was not available in English previously. The Guardian agrees that Missing Persons is probably his best known work, having won the Prix Goncourt. Mel is a big fan of Eat Bacon, Don't Jog, a primer from the man who visited Boswell for Just Ride. This primer upends many years of conventional wisdom about health and exercise. Per Petersen, jogging "just makes you hungry and trains muscle to tolerate more jogging while raising stressors like cortisol." His basic nutrition advice sounds, at least at first browse, Atkinsy. The book doesn't have many reviews yet (he's clearly being censored by the health police) but Fox News quotes him on this piece on butter benefits. Elephant and Piggie return in Waiting is Not Easy. You can find out more about the Willems' doings here. And he taped Ask Me Another on November 5. Watch for that episode soon. The current show features aforementioned Neil Gaiman. Meanwhile Winter is (indeed) Coming in Tony Johnston and Jim Lamarche's picture book. I can't argue, as we shoveled snow this morning. Here's the starred review from Kirkus. Over in the Milwaukee Journal Sentinel book section, it's been a busy week for Carole E. Barrowman. First off she reviews Stephen King's Revival, featured above in our top ten fiction list. She starts off pondering if the new novel King's "most personal novel to date." And yes, the title plays off the religious aspects of Revival as well as references to Frankenstein. Barrowman also does her monthly mystery column, this time featuring a reissue Jack Carter and the Mafia Pigeon, number three in a series of legendary novels, the first of which became Get Carter, a 1970s film. Barrowman is struck by "the influence Lewis' novels have had on so many current hard-boiled writers," noting Lee Child's Jack Reacher as a case in point. Up next is Colby Marshall's Color Blind, where the protagonist, Dr. Jenna Ramey (a forensic psychologist, the mos popular specialty of medical thrillers) has synesthesia, where she colors, much like Barrowman does herself. This single mom in Florida investigates a theme park killing spree and realizes the accused was not working along and may be connected to other killings, and did we mention that Ramey's mother was a serial killer? Intriguing! Finally there is Chris Knopf's A Billion Ways to Die, is the second in the series, featuring Arthur Cathcart, a slightly brain-damaged,tech freak researcher and the blackjack dealing psychologist who takes off with his girlfriend to the Caribbean, only to be pursued by a multinational engineering company "after something the multis think Arthur knows but that Arthur doesn't know he knows." She praises the witty banter and terrifying themes. And finally from Jim Higgins comes the new Everyman's Library collection edited by Diana Secker Tesdell, Stories of Art and Artists. His take? : "I've long admired Tesdell's Everyman's Pocket Classic thematic anthologies for their judicious story selections. Like some of the artists depicted in this one, she creates works that are pleasing, beautiful and surprising."